What is Youth Stewardship Day? 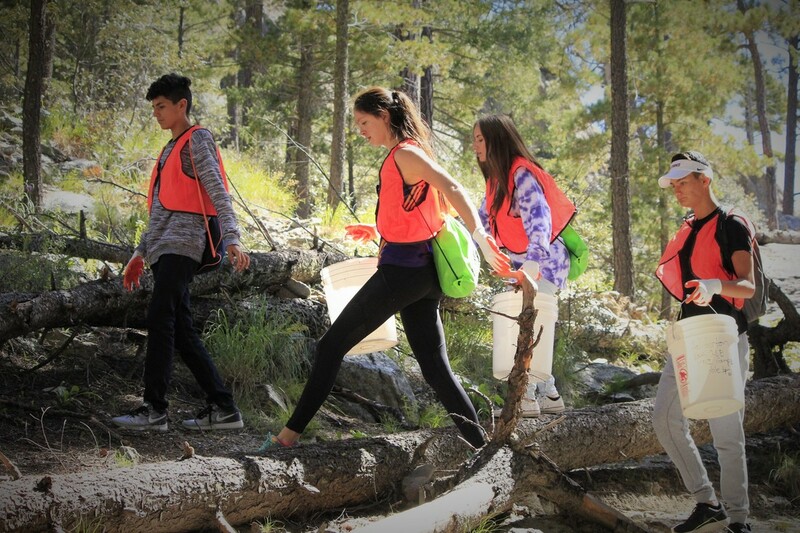 Picture this—middle school and high school students join together outdoors to perform stewardship on Mt. Lemmon. Middle and High school youth of Southern Arizona. Registration is now open for everyone. See below for more details. Engaging in local stewardship is a heck of a lot of fun! In honor of National Public Lands Day, this opportunity is for youth only. Come get inspired by exploration and adventure! ​Thanks to our 2018 sponsors! Contact us for info on sponsoring this fantastic event. Promoting environmental stewardship is one of CASA's defining objectives. That's where our Youth Stewardship Event comes in. This hands-on youth volunteer opportunity helps develop a sense of personal responsibility for our outdoor spaces in a whole new generation. This year, we're looking to do even better than the last two! This opportunity to help keep our mountain beautiful is only the beginning. ​It's also an awesome way to introduce the world of climbing to these hard-working young people. In 2017, 116 volunteers joined CASA on National Public Lands Day. We are proud to work with so many amazing people from all over Tucson taking care of Mt. Lemmon! 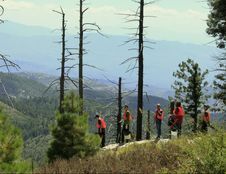 Nearly 90 youths and a couple dozen adult volunteers cleared brush on 3.5 miles of trails in the Catalina Mountains! Huge thanks to Josephine Corder and Eric Ruljancich for organizing the day. Shout-outs to the Arizona Trail Association and Arizona Conservation Corps for additional tools. Thanks to our 2017 sponsors: Rocks and Ropes, The BLOC climbing+fitness, BroadPath Healthcare Solutions, and Garland Spears, LLC Tucson Real Estate. In 2016, CASA engaged 80 volunteers in Southern Arizona in our passion for protecting our outdoor spaces. 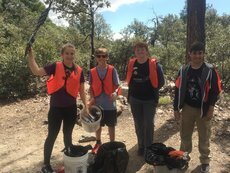 On National Public Lands Day, 49 youth and 30 adults collected 675 gallons of trash at various spots on Mt Lemmon summit. 9:00 AM Youth Stewardship Day begins. Please arrive at least 15 minutes early for check-in. 2:00 PM Arrive back at the BLOC by 2 PM for debrief and departure. Thanks for your hard work! Meet at The BLOC for registration and the event kick-off. For the best directions, enter the address above to navigate on your smart phone. You can also click the link from your browser for navigation information. Send us an email at casa@theclimbershome.org. You must sign both waivers to attend. Groups, please reserve your spot by filling out the form at the link below. Once we've processed your Group Reservation Form, we'll reserve space for your group. You'll receive a follow-up email with event information and a group packet to complete registration. *PLEASE NOTE: Completing group reservation does NOT register your group for Youth Stewardship Day, but instead holds a spot for your group. Group registration is not complete until we've received ALL registration materials. To register your group, select the button below. Then follow the steps in your follow-up email. Questions? Email casa.climbers @ gmail.com.